TSP Legal > News > General News > What is an Immediate Post Death Interest Trust? What is an Immediate Post Death Interest Trust? 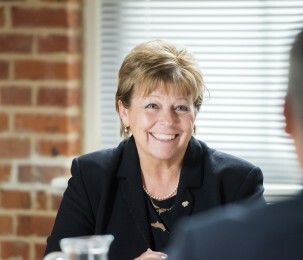 Fiona Ashworth, who leads the TSP Wills and Estates team, discusses when it may be useful to consider using an Immediate Post Death Interest Trust (IPDIT). An IPDIT is the ‘present right to the present enjoyment’ of an asset of your estate by a beneficiary (Pearson v IRC 1981). In practice it is a concept where you can leave the ‘life tenant’ who is your spouse, or civil partner, the right of occupation of your property, or the benefit of the income from your investments, without them owning the underlying capital value, thus protecting the capital for your intended beneficiary, known as the ‘remainderman’. Use of an IPDIT is very popular, for example, in second marriages, where your wish is to preserve the capital assets of your estate for the children of your first marriage. For example, husband and wife, who have both been married previously, and each have children from their first marriage, jointly own a property. To ensure that their individual half share of the property passes to their respective children, mirror Wills are written for husband and wife making use of an IPDIT. The Trust is then created under the Will of the first to die, and does not terminate until the death of the life tenant, unless you add clauses detailing other triggering events to bring the IPDIT to an end, such as a re-marriage, or ceasing to occupy the property. If the life tenant continues to benefit from the IPDIT assets until they die, then on their death the underlying capital values are added to the value of their estate for the purposes of Inheritance Tax (“IHT”) but you can make use of the transferable IHT exemption allowance (known as the “nil rate sum”) from the first to die, to offset the IHT liability on the second estate. For example, if you die leaving all your estate to your husband or wife for life and thereafter to your children, and you have your own nil rate sum available to transfer, plus if there is a property, a residential nil rate sum available, then these reliefs can be applied for IHT purposes against the value of the estate, to reduce the IHT liability. If either of the married couple has been widowed from a first marriage, then they can also make use of their first spouse’s nil rate sum, if it is still available. If the trust is brought to an end during its lifetime, because the ‘life tenant’ decides to terminate their life interest, it is then deemed to be a potentially exempt lifetime transfer, and provided that the life tenant lives for seven years following the termination, the capital value will fall outside of their estate for IHT purposes. An IPDIT is a very useful tool to use but the need for correct drafting of the Will, to give effect to the Testator’s wishes, is paramount. To ensure you create the correct document, with the correct clauses, it is essential to seek professional legal advice. Fiona is a qualified member of the Society of Trust and Estate Practitioners (STEP). STEP is the leading worldwide professional body for practitioners in the fields of trusts, estates and related issues. STEP members help families to plan for their long term financial future, providing expert advice on how to comply with the often complex law and tax rules surrounding trusts, estates and inheritance. Fiona can be contacted on 01206 574431 or by email at fiona.ashworth@tsplegal.com.